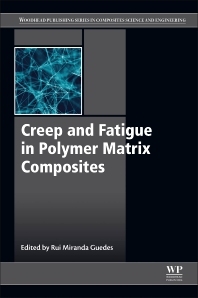 Creep and Fatigue in Polymer Matrix Composites, Second Edition, updates the latest research in modeling and predicting creep and fatigue in polymer matrix composites. The first part of the book reviews the modeling of viscoelastic and viscoplastic behavior as a way of predicting performance and service life. Final sections discuss techniques for modeling creep rupture and failure and how to test and predict long-term creep and fatigue in polymer matrix composites. Dr Rui Miranda Guedes works within the Faculty of Engineering at the University of Porto, Portugal. Dr Guedes has an international reputation for his research on creep and fatigue in polymer matrix composites.